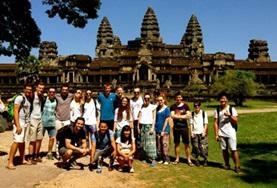 One of the key must-see destinations within South-East Asia, Cambodia is a popular volunteering choice. Our group trips in Cambodia are open to anyone with a passion for volunteering together in the developing world; including those at school, in a community group, at university or working together. 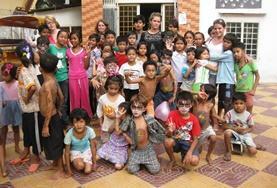 A great variety of projects are available to groups volunteering in Cambodia. These are all located in the charming capital of Phnom Penh apart from our Conservation projects which are based on the island of Koh Sdach. Groups can get involved in Care/Teaching, Community, Conservation, Cultural – including the Khmer Project, Medicine & Healthcare – including Medicine, Dentistry, Occupational Therapy and Physiotherapy, and Human Rights Projects; all of which have their own individual merits. In the last couple of decades, Cambodia has risen out of its turbulent, war-torn past into the peaceful, beautiful and optimistic country that it is today. With its tropical sandy beaches, exotic jungles and ancient temples, coupled with a relatively low population, Cambodia is on every traveller’s bucket-list. Since establishing peace, Cambodian’s are now focused on building a positive future. Many areas of Phnom Penh are booming; the city has an elegant riverfront and lively nightlife, and its people are friendly, dignified and optimistic. Despite this, it is clear that poverty is still a big problem and many Cambodians are still struggling to survive. 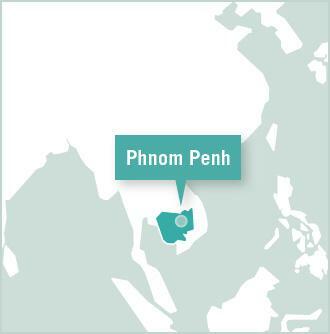 The majority of our projects are based in the charming and spirited capital city of Cambodia; Phnom Penh. Groups are allocated dormitories close to the city centre, or in the Russy Keo district of Phnom Penh if on a Care Project. 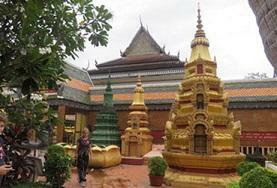 Russy Keo is a short tuk-tuk ride from all major areas within Phnom Penh. The city is perfectly located to be able to travel to the beautiful beaches on the Gulf of Thailand, or to the famous temples of Angkor Wat in the north of the country. Groups taking part in our pioneering Conservation Projects will be located on the small tropical island of Koh Sdach (King Island), 1km west of the coast of the Boutum Sakor National Park. 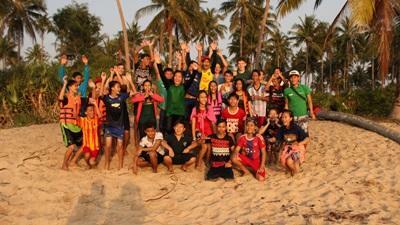 In the evenings and at the weekends, groups will have free time which they can use to truly explore Cambodia and experience everything that it has to offer. Whether it’s the hustle and bustle of its vibrant cities, the quiet tropical paradise of its palm-fringed beaches or the awe-inspiring majesty of the temples of Angkor Wat, Cambodia has something to offer everyone. 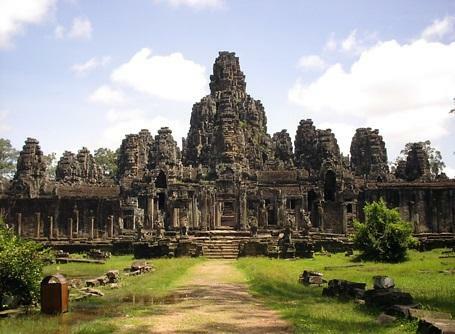 Located near Siem Reap is the world-famous gathering of temples, popularised amongst world travellers and pop culture by the large tree roots that cascade down the doors and walls of these 900 year old temples. Exploring these structures will definitely make anyone feel like Indiana Jones or Lara Croft! 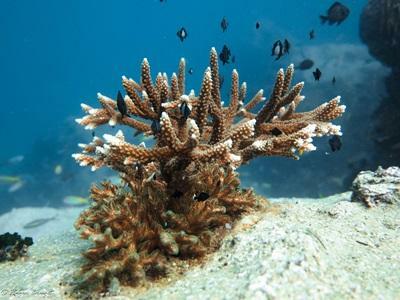 However, for the more adventurous amongst us, why not experience trekking through the jungles or snorkelling and dolphin-spotting in the beautiful seas surrounding Sihanoukville. 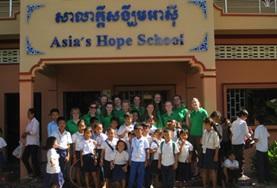 I am delighted that you are thinking about joining us in Cambodia to support our work and our community. I look forward to welcoming you to my country with a friendly smile! Pol Pot’s Khmer Rouge had a huge impact on the country’s development. During their rule from 1975 to 1979, nearly two million Cambodians died because of enforced labour, malnutrition, and mass executions. That is almost a quarter of the entire population. In Cambodia, this has caused problems relating to access to resources and assistance for disadvantaged families and communities. The country has come a long way over the past decade or so, and life is steadily improving for the resilient Khmer people, but we still need help. 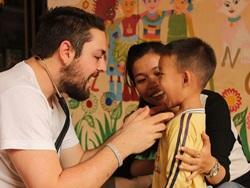 Volunteers make a big difference working at our projects in Phnom Penh or out in the countryside. We can assure you that you will have a truly unique experience in this country. I look forward to seeing you in Cambodia!